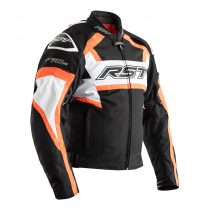 The RST mens textile motorcycle jacket collection has a wide range of protective wear for all riding styles and budgets, plus we have a jacket for every type of weather the UK can throw at you! 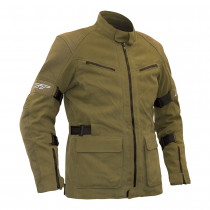 We have breathable summer motorbike jackets, three quarter textile jackets, waterproof jackets and multi-functional all weather motorcycle jackets for men available across a wide range of budgets. 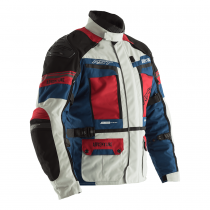 We’ve had some RST users really push the Adventure to the max riding in the Australian Outback; from their feedback we have added large external TPU shoulder protectors, we’ve improved the parachute strap (this is a strap that goes under the crotch to stop the jacket lifting when riding stood up, please don’t jump out of a plane in the Adventure!) 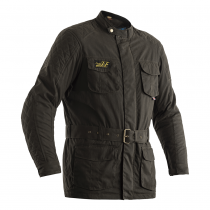 and made subtle improvements to the fit of both the jacket and jean. You’ll find multiple large adjustable vented panels, a removable thermal lining, and separate removable waterproof lining, so from the depths of a Scottish winter to the heat of the Australian outback, wherever and whenever you ride, the Adventure has you covered. 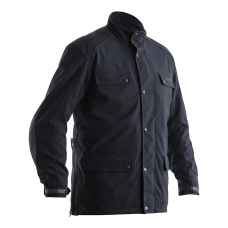 We’ve had our work cut out improving the Paragon jacket, but now as it moves into its 5th generation we’ve raised the bar yet again. 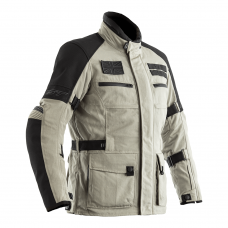 The Paragon jacket and jean are a touring riders dream, constructed from Teflon coated Maxtex and Ballistic with our Sinaqua waterproof membrane on the inside. 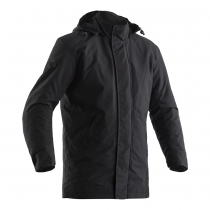 So you have the benefit of a water resistant outer layer combined with the waterproof and breathable membrane on the inside. We’re also using waterproof zips throughout, and the main entry is double zipped with a gutter system inside too! On the inside you have a removable full-length quilted jacket to keep you really warm as well as dry on even the worst of days. 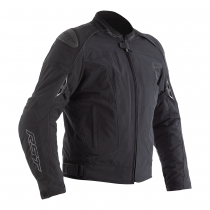 The most sports-focused textile jacket in the RST range, the TractTech Evo-R uses the same aggressive styling as its leather counterpart and shares many of the same features. 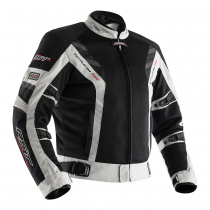 The hump on the back isn’t just there for style; it actually improves the airflow over the back when riding on sports bikes and stops the jacket flapping around. 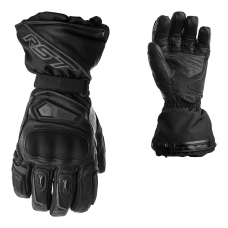 The interior is lined with our new 3D mesh; this ensures a fantastic level of ventilation. 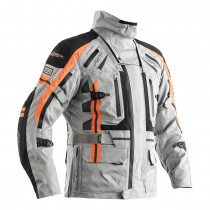 The jacket is fitted with our SinAqua waterproof breathable membrane, and for safety we fit Level 2 CE armour, including a back protector, this is in addition to the jacket being fully CE certified.